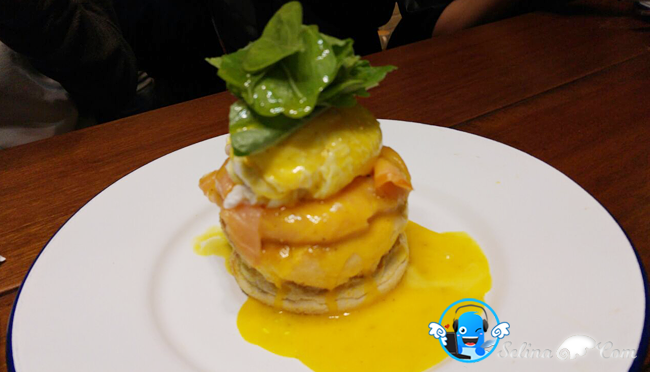 My good friend, Woan koon and I invited to The Morning After Cafe at , for the food review. Have you thought this cafe just for the breakfast morning only? 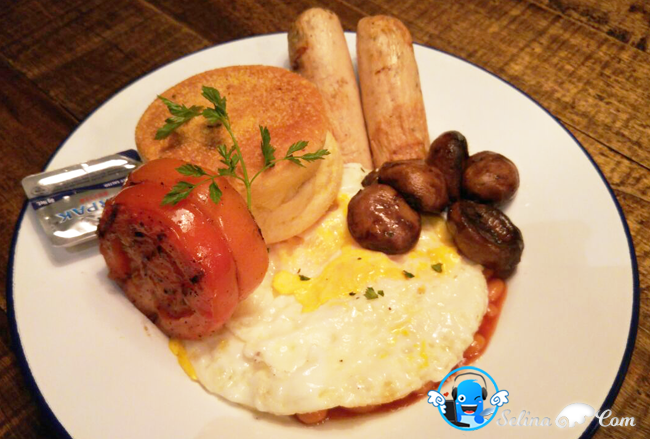 No, they also provided the menu food style-breakfast for all customers, from morning till midnight. I found out that The Morning After just opened at Ativo Plaza, new commercial office tower and shoplots at Bandar Sri Damansara, Kuala Lumpur. It also near my dad's house in the neighborhood! 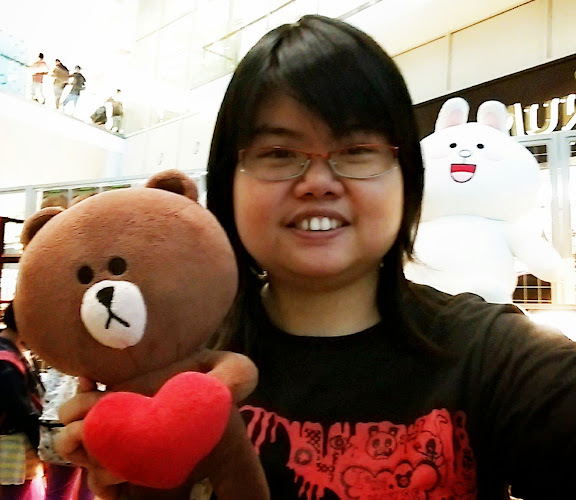 Thanks to my dear friend, Wendy Pua! 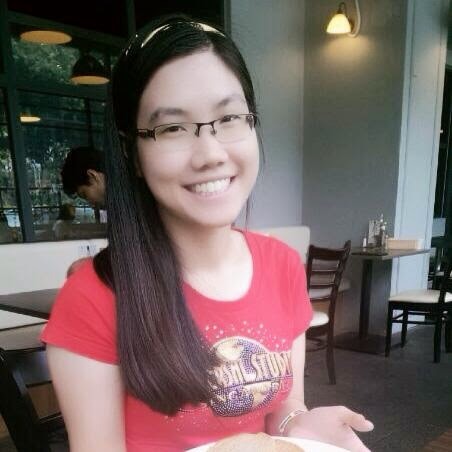 Luckily, we managed to reach this cafe since the raining cause the traffic jam on my way to Bandar Sri Damansara! We amazed to see a very beautiful and simple environment with cool art design - everything are black at outside of The Morning After Cafe. 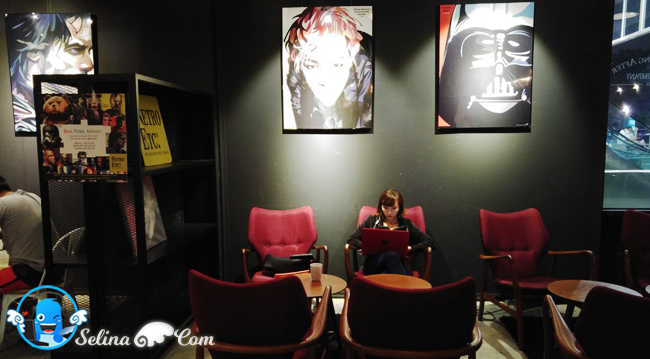 We saw the sketches and coffee design on the black wall, also match with the old vintages things because it can give the feeling of visual impression experience and professional but, it still be reflecting some light in the night environment of cafe. 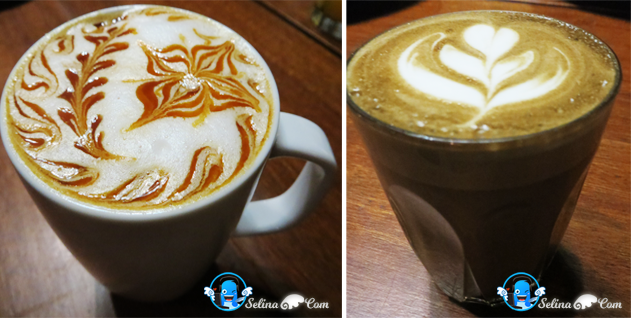 What I thought of "Black hides, while white brings to light..."
We happy to get hot Salted Caramel Macchiato (R) and Roasted Tea Latte (L) coffee, make us feel warm! Salted Caramel Macchiato become my favorite! I can see different art on the salted caramel macchiato drinks so cute! It is sweet caramel with smell of coffee, make me feel comfortable until my mind is clear! And Roasted Tea Latte are special make me surprised that the coffee mix with tea, but this is strong coffee. 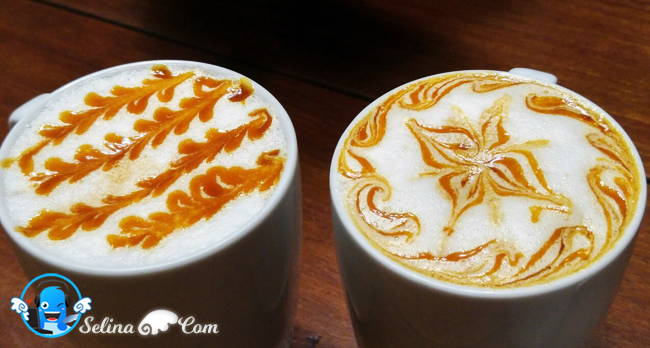 I like a love of art on the latte tea. 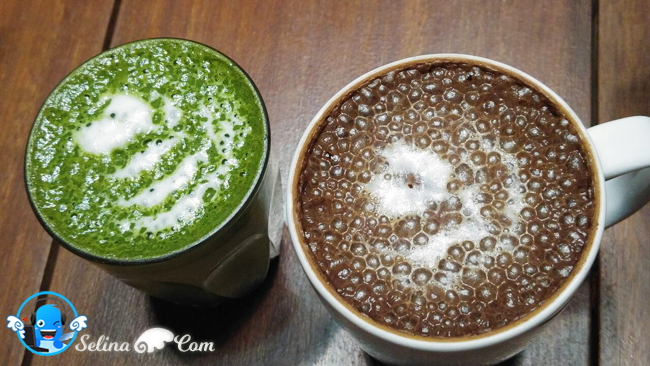 If you want to drink tea and latte, you should try the special, Green Tea Latte because it is very strong green tea with sweet! And Hot chocolate drink for you since you are chocolate lover! 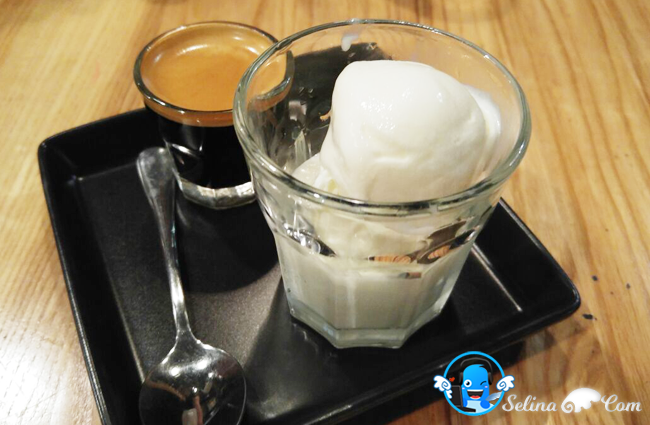 Now, many coffee cafe always provide the affogato - coffee-based dessert for the coffee lovers. Sometimes with milk + ice cream, or with ice cubes, or other... It usually takes the form of a scoop of vanilla ice cream topped with a shot of hot espresso. You will get the sweet-sour taste so very delicious. Maybe you will like espresso as it is very strong coffee to help you not be sleepy after wake-up from morning. First, Mexican Nachos (RM18.00). 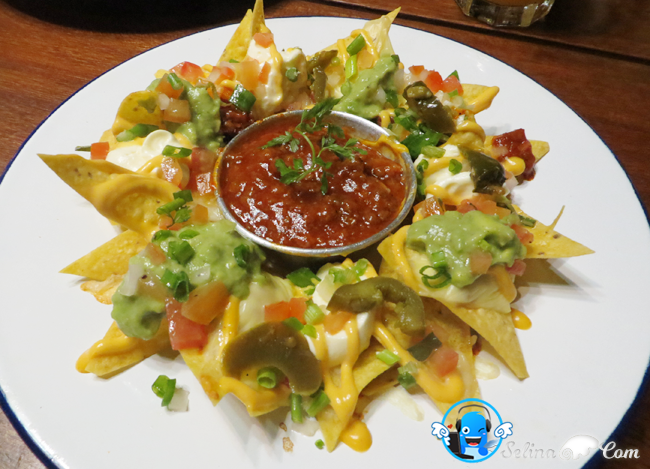 They served it to us first while we are waiting for our main courses...I also love to bite the nachos with dice tomatoes, beef bolognese and guacamole sauce, make us want more again! 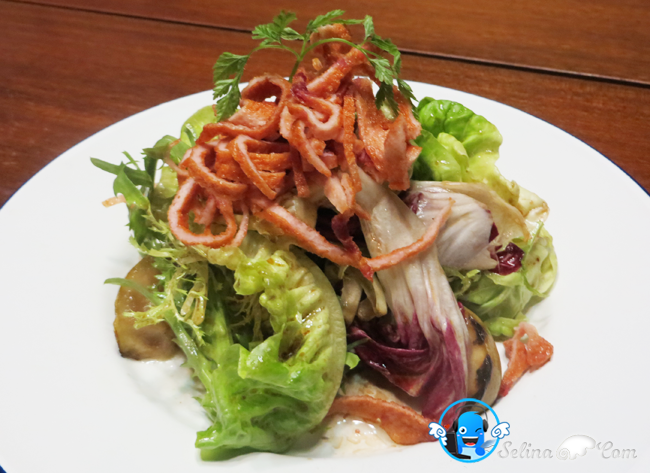 It is suitable for the customers who want to eat salad. It looks as creative salad with ssorted greens, pear & Turkey ham..Turkey ham also used as deco at top on? It is good food get to attract our eyes to focus on this salad! 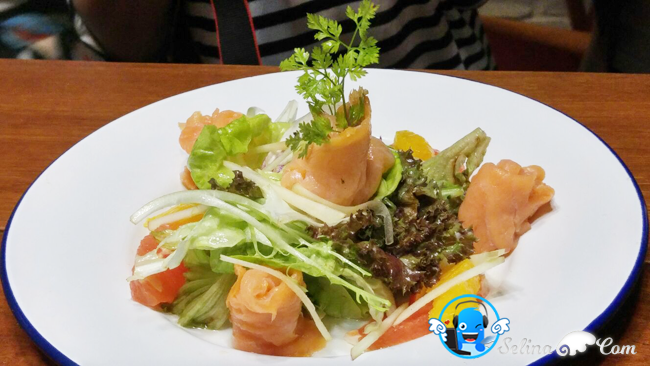 It is healthy-smoked salmon salad with baby beet, Fuji apple, orange segment, lettuce and lemon dressing. The smoked salmon looks very fresh, tried like roll salad... just like japanese style-sushi. I really enjoyed to eat a lot of vegetables with sweet lemon - sour sauce from orange. I feel this chef are very good at creating the texture of decoration with different taste, such as sweet, and sour? This is breakfast style-American. Normally, it must get chicken sausage and beef bacon or turkey ham. This combination of dish also have a lot stuffs, like the roasted potatoes, beef bacon, turkey ham, chicken sausage, sammie, sautéed mushrooms & tomatoes...! This is very big dream for each American person who want a big breakfast. Right? It is suitable for couple or 2 persons who can share it together. I see this dish get two poached eggs on sourdough muffin, with smoked salmon, baby spinach filled by the hollandaise sauce... I like to taste a very special sauce also pour around the two poached eggs on the muffin. It looks as a cute vegetable also are on top of gold egg-muffin! You want less choices on the dish style breakfast and don't want same as An American Dream, right? You try High & Mighty Londoner, just have a poached egg, grilled tomatoes, sauteed mushrooms, buttered English muffin, chicken sausage & baked beans. 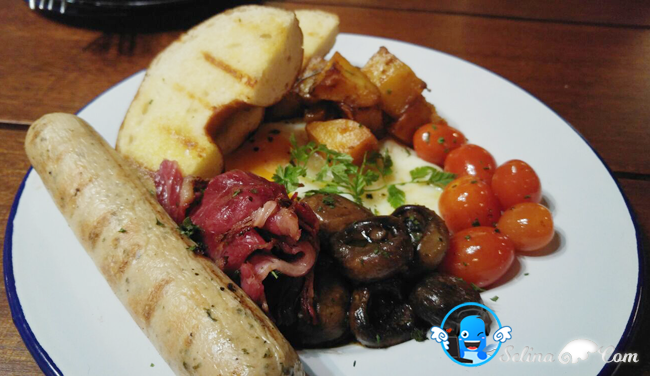 I love to eat the poached eggs with sauteed mushrooms so much than muffin! I really love the Cordon Blue! The turkey ham and mushrooms also inside the chicken with blue cheese sauce ...too much so very looks as white mayo! 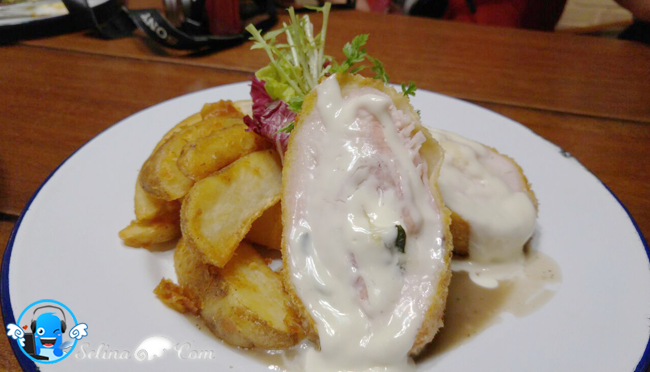 There are black pepper sauce also around the chicken cordon bleu with wedges too. 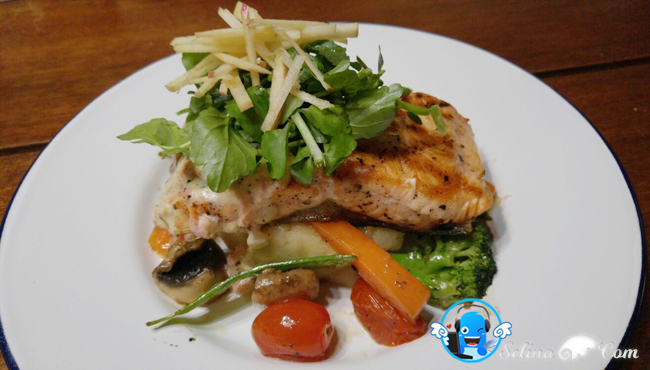 It served the grilled salmon with the thick of fruit apple and watercress salad also be on top of salmon.. the mashed potatoes also hides at bottom..the mixed vegetables, which be grilled, also around this dish with horseradish sauce. I like to eat grilled salmon because it is not oily. 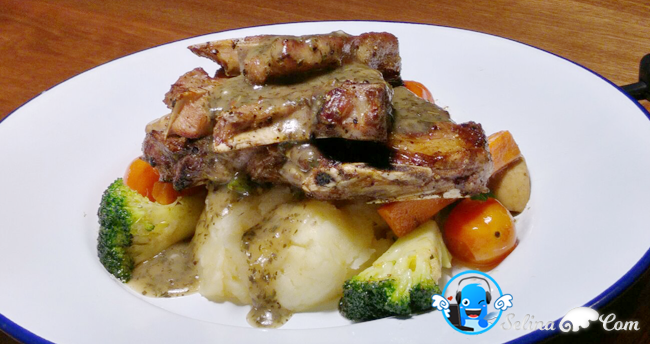 It served a grilled lamb shoulder with sautéed mushrooms, mixed vegetables and garlic mashed potatoes, so you like to bite a grilled lamb so very much? I can cut it, but it is hard to eat. 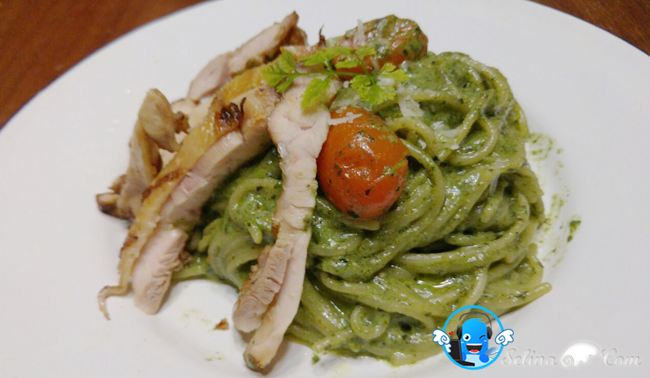 Grilled chicken pasta with cherry tomatoes with pesto cream sauce. I see a very green pasta with grilled chicken, easy to bite so easy! I like it. More like creamy carbanano..But, it is very soft cream and chicken-taste like BBQ when I tried to eat it. 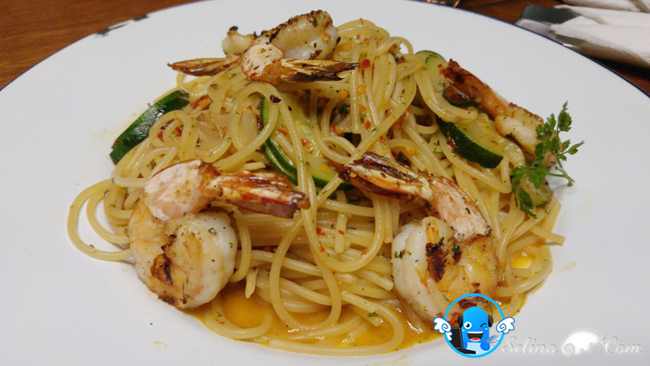 You love a very spicy aglio olio spaghetti served with the prawns and pieces of cucumber.. So yummy! It is beautiful spicy sauce around this spaghetti..It is best! It is very expensive because it is popular pasta with a Japanese-style Soft crab. 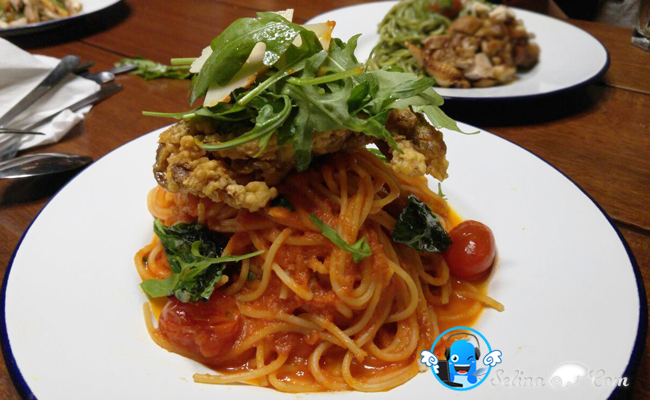 For me, a soft shell crab with the racket salad also are on top of spaghetti with Neapolitan sauce, who waiting for a customer who come to take a bite of crab first, then eat spaghetti at last! Finally, my good friend give a try to drink The Tapping Tapir - Hibiscus & Lime, sparkling soda which is a new initiative 100% natural-tropical flower combine with the fresh, rich and fruity pineapply with tangy calamansi flavours. This logo focus about we need to protect the endangered specie animal, Tapir from Malaysia, in order to increase our awareness in the public. 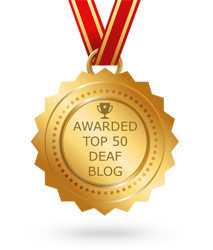 We also have a good time to chat and get to know new bloggers on our first time. 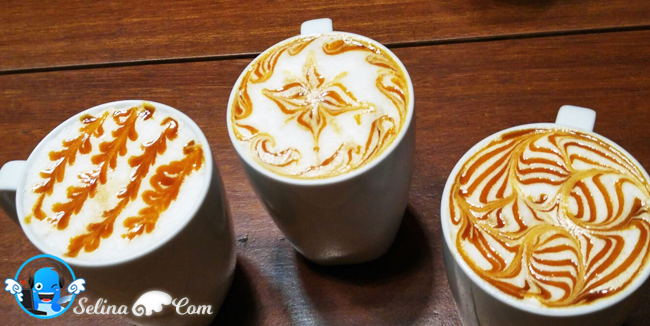 We love to drink Salted Caramel Macchiato so very much! They accept the payment - cash only, and can set up the private rooms for you if you want to reserve for your group. When you wake up on early morning, you will think how about the morning after, right? Then you can drive to head to this cafe, which are near your neighborhood area! 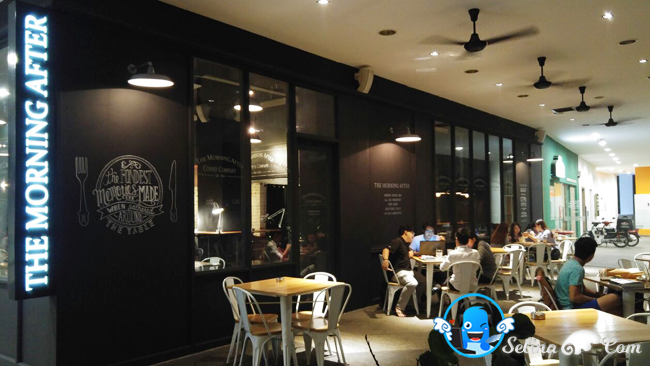 You can visit one of the branches cafe also located at Jaya One PJ, Pavilion KL, Oasis Damansara, International Depature Hall, Lapangan Terbang Antarabangsa Penang Lepang Penang, Bandar Sunway and Taman Tun Dr. Ismail KL. Oh wow! The food looks amazing!! I feel so hungry now after reading your post! Looks delicious!!. Love to visit. You can get discounts in your local restaurants. 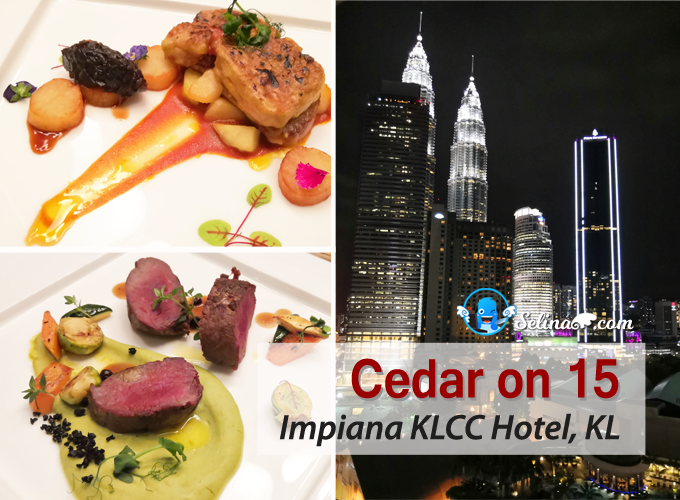 Check for foodpanda coupons. I love affogato, love it and great to drink it. thanks to my dear friend!